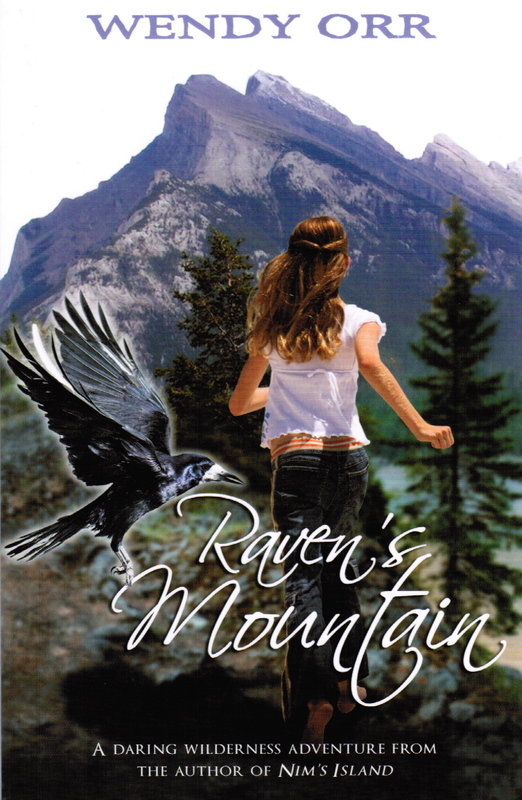 I was very excited today to see that your next book competition is for Raven’s Mountain! So I thought I’d you’d like to hear a bit more about the story. There’s nothing and no one here except me. No daypack sitting beside the rock waiting for me to put it back on. And no huge rocky nose on the mountain below me. That side of the cliff is gone. I can’t believe this is where I did my happy dance and worried about my sister laughing. I never thought of worrying about the mountain. After all, mountains are made of rock. They’re very old, very strong, and very, very solid. Everyone knows that eleven-year-old girls can’t break mountains. Except I think I did. Because what if the rock tipped because I fell, and if it slid because it tipped, and if it broke the mountain’s nose because it slid? The chill around my heart is turning into a solid block of ice. This is a cold, lonely, dangerous place and I’m getting out of here as fast as I can; slipping, skidding, falling, landing on my cut-to-shreds hands, sucking off the blood and snow. It’s hard to know where stories start. Maybe the first seeds for Raven’s Mountain were planted the summer I was eight and went to summer camp in the Canadian Rockies. Or when my dad, younger sister and I climbed Pikes Peak, a 3000m mountain in Colorado. Or when I was a teenager, sleeping out in the woods in another part of the Rocky Mountains, and hearing that a grizzly had taken a camper the week before. I’m guessing all these things went into the book, but many more too, until they all got mixed up into something entirely new that wasn’t much to do with me at all. For instance, when I started writing, I thought Raven would love the mountains, because I always have (and probably most New Zealanders would understand that!). But the more I wrote, the more I saw that she didn’t love mountains at all. She’s only going there because her mum has remarried – Raven wants to stay in the flat prairie country, because it’s the only home she’s ever known. 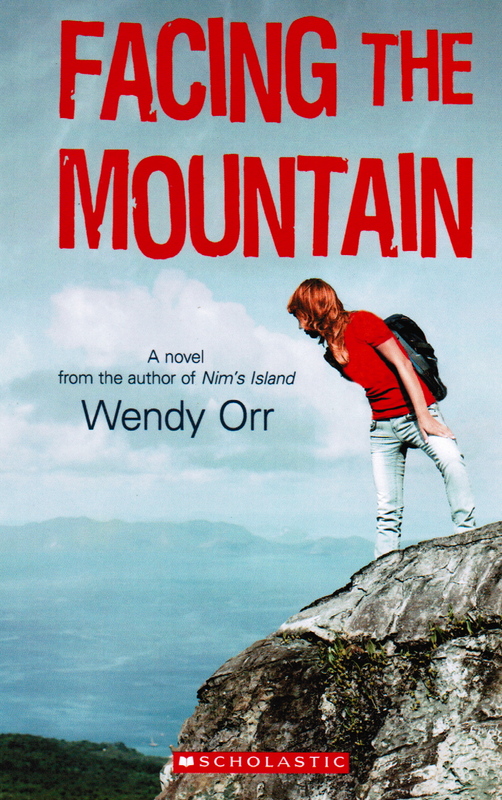 The mountains, and especially the rockfall, are a symbol of everything that’s changing in her life. In Canada, Raven’s Mountain is called Facing the Mountain, because that’s what Raven really has to do. Which title and cover do you like best? Why isn’t the film exactly like the book? In a palm tree, on an island, in the middle of the wide blue sea, was a girl. Nim’s hair was wild, her eyes were bright, and around her neck she wore three cords. One was for a spyglass, one for a whirly, whistling shell and the other a fat red pocket knife in a sheath. WIthout even thinking about it,whenever you read, you make the movie in your head. And it’s more than just seeing and hearing the character: when you’re really involved with what you’re reading, you even feel what the character is feeling. Have you ever closed a book and been surprised to find out that it was sunny outside, because it was dark winter inside the book? (Or the other way around?) That’s because when you read, you help the author create the story. The author tells you enough that you can fill in the blanks, and of course everyone fills in those blanks differently, depending on who they are and what’s going on in their lives. So, think about it in the next book you read. How would you make a movie of that book? 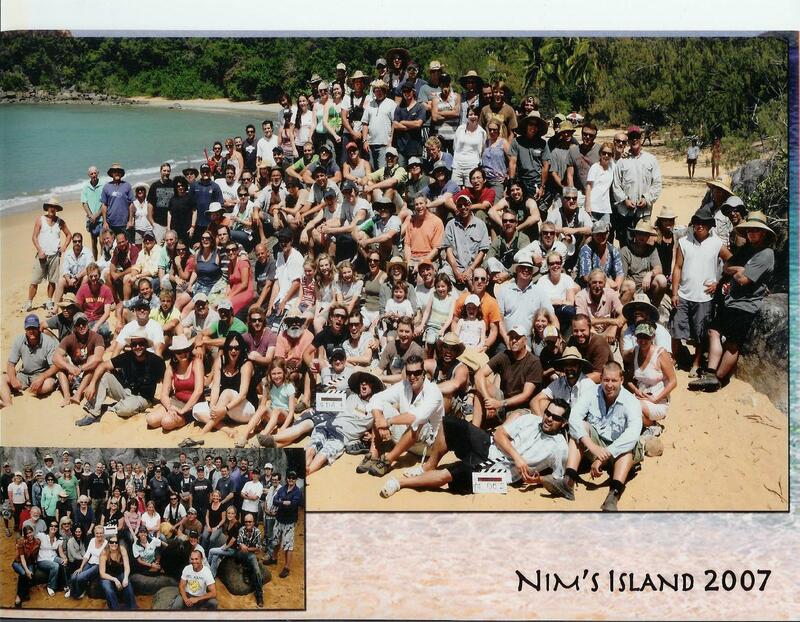 The Nim’s Island crew – all the people doing what the author, Illustrator & editor do in a book. One of the funniest authors around, Andy Griffiths is coming to Christchurch for some school visits in May. If you’re not lucky enough to go to one of the schools he’ll be visiting you can come and meet him in person and get your books signed at The Children’s Bookshop (227 Blenheim Road) on Sunday 6 May, from 1:30-2:30pm. Andy is the author of the ‘Just’ books, including Just Disgusting, Just Annoying, and his latest book, Just Doomed, as well as the Zombie Bums From Uranus series. 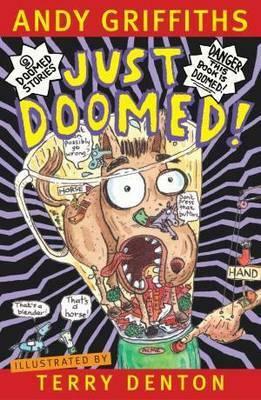 You can reserve Andy’s latest book, Just Doomed, at the library now. 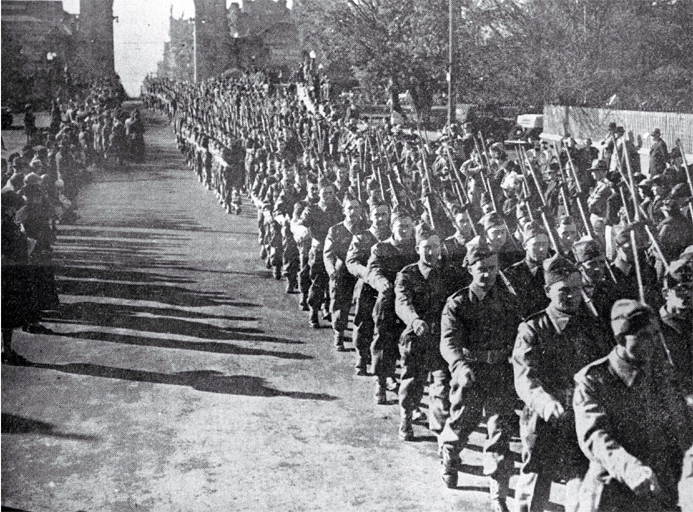 ANZAC Day is celebrated in Australia and New Zealand on 25 April. It is a time when we remember New Zealanders and Australians who fought in wars around the world. We might attend a dawn service and parade, talk to older relatives about their memories, buy and wear a red poppy, make ANZAC biscuits, and remember our family members who fought in wars. We have a great kids webpage that you can check out for anything you would like to know about ANZAC Day and Gallipoli. You’ll find fast facts, links to books and resources that the library has on ANZAC Day, and links to some great websites with extra information. On Friday I’ll be talking about some of my favourite ANZAC books, including A Rose for the ANZAC Boys, The Ghosts of Iron Bottom Sound, When Empire Calls and The Red Poppy. April 13, 2012 · Filed under Books, Celebrating New Zealand, Children, Christchurch, Competitions, NZ Post Children's Book Awards, NZ Post Children's Book Awards 2012, NZ Post Children's Book Festival 2012	· Tagged Canterbury Festival, Christchurch, competitions, LibraryZac, New Zealand Post Children's Book Awards, New Zealand Post Children's Book Festival, Remarkable Kiwi competition, Who is Your Remarkable Kiwi? The 2012 New Zealand Post Children’s Book Festival runs from 7-16 May, 2012 and celebrates the books that are finalists in the New Zealand Post Children’s Book Awards. We have some great events planned in Canterbury to celebrate the finalist books, including a competition that you can enter to win book vouchers. 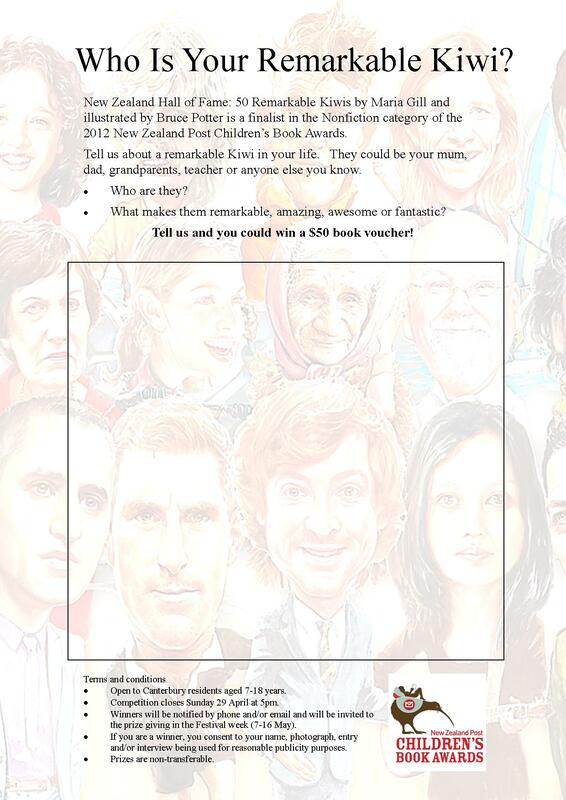 You can download the Canterbury Programme for the New Zealand Post Children’s Book Festival and the entry form for the Canterbury Festival competition, Who’s Your Remarkable Kiwi right here. Tell us about a remarkable Kiwi in your life. They could be your mum, dad, grandparents, teacher or anyone else you know. Open to Canterbury residents aged 7-18 years. Competition closes Sunday 29 April at 5pm. Winners will be notified by notified by phone and/or email and will be invited to the prize giving in the Festival week (7-16 May). If you are a winner, you consent to your name, photograph, entry and/or interview being used for reasonable publicity purposes. You can drop your entry into Shirley Library or send to: Zac Harding, Shirley Library, 36 Marshland Road, Christchurch 8061. 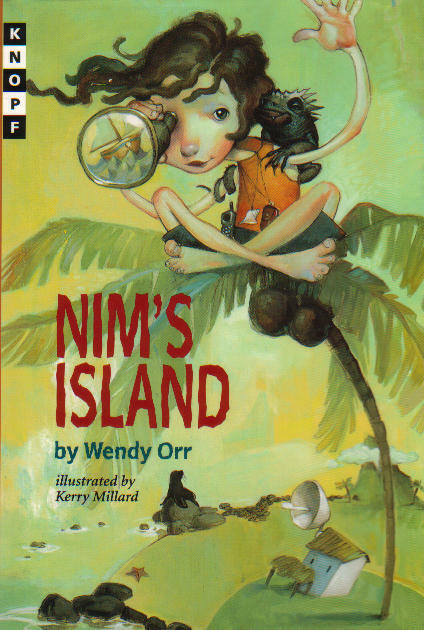 Another question people often ask is, ‘How did Nim’s Island get turned into a movie? Well, it’s all because an eight year-old boy needed a book to read on the school holidays. His mum went into their local library in Los Angeles, and saw a brand new book, with a lovely green cover, that no one had taken out yet. 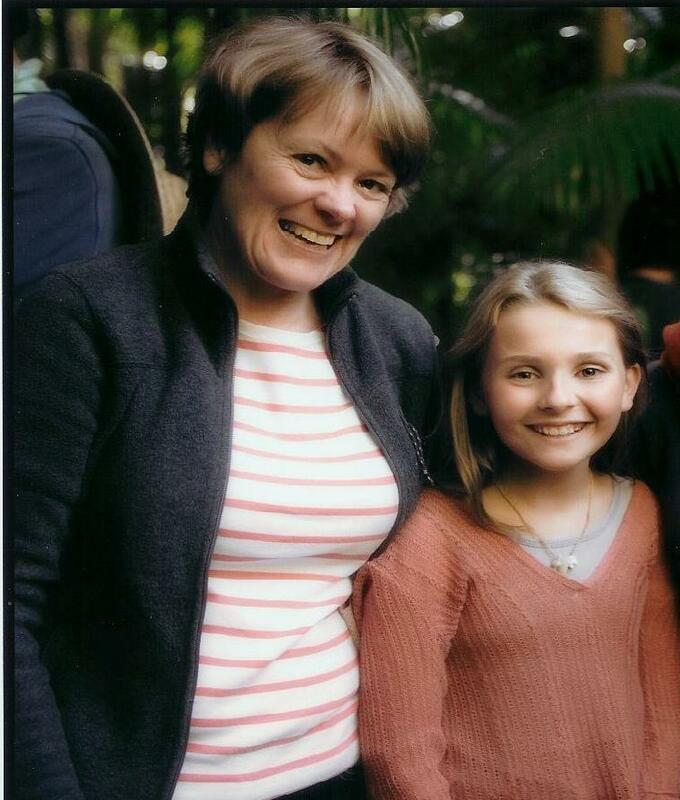 That mum was Paula Mazur, a film producer. She decided to read him just the first few paragraphs, and then let him go on by himself – except that she couldn’t stop because she wanted to know what happened too. So she went on reading, and her eleven year-old daughter came in to listen, and her husband, (and the two fat cats, but I don’t know if they were really listening). And then the next day she wrote and asked me if she could make a film out of the book. And I said yes! 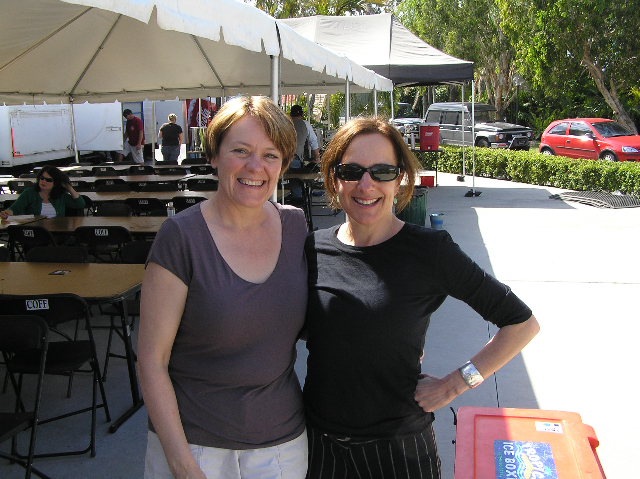 We talked about how a film would be, and then she went to see some studios and asked them if they’d like to make it. Four of them said yes, but she chose Walden Media because they specialise in making films for children and families. But it took 5 years between saying yes and seeing a film. I’ll tell you more about the filming next time. If you could time travel where would you go? Books can make you wonder what it would be like to live in a different time and place. Some stories are set in a particular time in history or are about a historical event. The My Story books are great because they take you back to a specific time in history and let you know what it was like to live in that time, through the diary of a boy or girl who lived then. They show you the sights, sounds, and smells of that time period, which is quite different from ours. If you could time travel, what time would you like to visit or what event would you like witness?